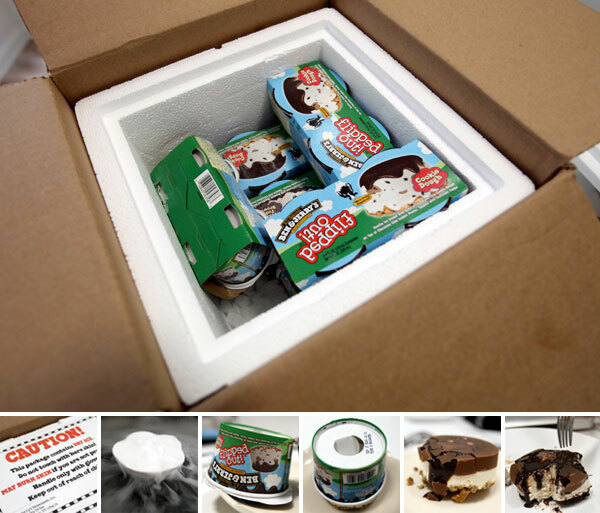 On really fun packages to receive ~ Ben & Jerry’s sent over some of their new Flipped Out ice creams. Basically they are like ice cream upside down “cakes” ~ you peel the top, flip it over, and stick your thumb in to push them out onto your plate, and within moments they get a little gooey and fudgey… honestly its more fun/yummy than it is pretty. There is brownie, peanut butter cup, and cookie dough ~ peanut butter and cookie dough were def the best! Strangely of our panel of 3 ~ brownie was not living up to expectations! BUT, for the SUPER fun part, it came packed in a big styrofoam container with DRY ICE! So as we unboxed, ended up playing with the dry ice for a bit until it was all gone! So some silly videos of that were inevitable… check out a look at the unboxing, dry ice playing, packaging, and more on the next page! 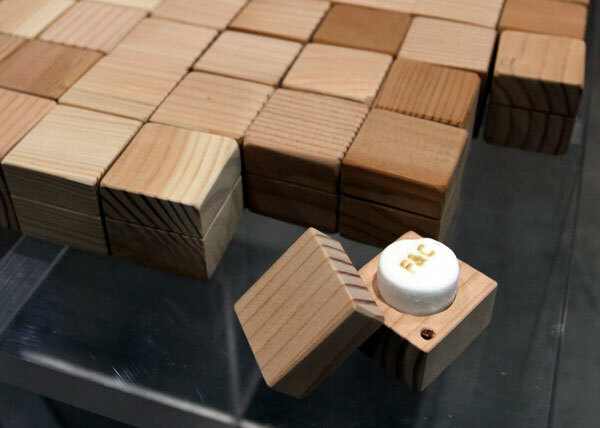 Perhaps the coolest random goodies yet… Ford & Ching (Previously FordBrady, but Brady has moved on and Ching has joined Ford) ~ while at Dwell on Design this morning, i got a branded marshmallow in a box ~ a very cool little wooden box cut to perfectly fit a single marshmallow. A marshmallow i couldn’t bear to eat until i had thoroughly photographed it to share with you! (As it was publishing, i devoured it. it was delicious.) While i hate to admit it, i was far too excited by the adorably cool boxes and chatting with both Ford & Ching that i don’t have the name of the awesome wood loving designer behind the boxed mallows, but i’ll be back there tonight and quite a bit this weekend, so i’ll come add that later… but first things first ~ check out the awesome branded mallow in a box on the next page! UPDATE!!! The awesome woodiness is by Andrew Riiska ~ and his blog has some fun behind the scenes look at his gorgeous tables as well! 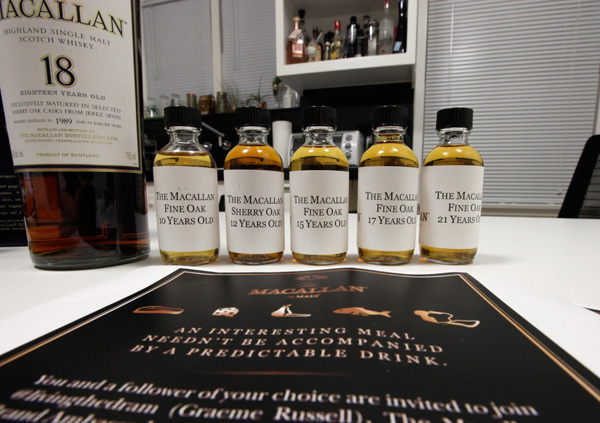 I’m learning to love twitter… at first it drove me insane, but now it connects me with incredible new people… and its been intriguing to see what people and brands are doing with it… latest fascinating (and seemingly awesomely successful) experiment comes from Macallan. Granted i’m biased, Macallan 18yr has been my favorite go to for a few years now (while cocktails are fun, its my default if available)… but what they set up is really pretty fun! Here’s the setup: Macallan’s brand ambassador @livingthedram (Graeme Russell) teamed up with the Michelin-starred chef Ed Brown of Eighty One in NY for the ultimate Macallan Tasting ~ all live tweeted and projected on the wall!!! And while i nearly moved my flight to make the dinner ~ but being twitter and all, they were kind enough to send samples over for me to taste along with them! Unfortunately my timing still sucked a little, but first thing i did when i got home was grab some food, and start catching up on the #macallan tweets - and taste along with them! On the next page, check out some pictures of the event, the samples (so fun to see the color differences alongside one another! ), and a selection of my favorite tweets (yes, i totally read my way backwards through the whole event to catch up!). 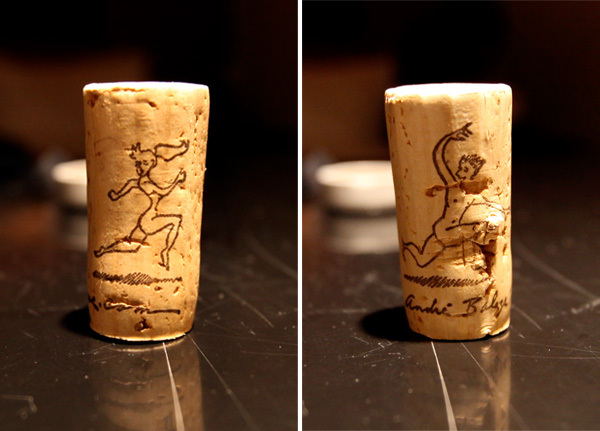 I’ve written about quite a bit of packaging design, and alcohol packaging in particular often has some beautiful designs, but i think this is a first where the detail that grabbed me most was the cork! Once we popped this cork, i couldn’t help but spin it around and around, and as we drank the bottle the question really became, who’s chasing whom? On random late night posting ~ while doing the usual wandering through Whole Foods ~ on packaging based shopping, i gave in to some awesomely packaged beers. 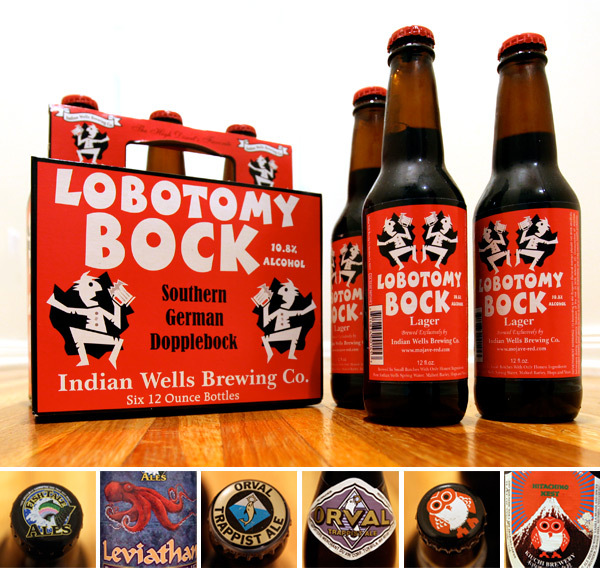 Really, how fun does the box and label of that Lobotomy Bock look? 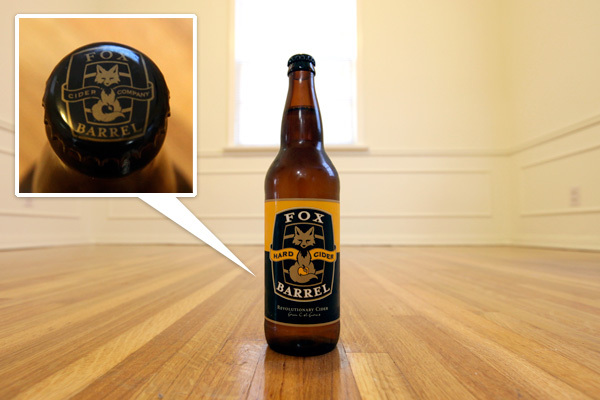 And take a peek at pics of that as well as some other fun beers and their adorable bottle caps too. (Slightly disappointing that Lobotomy Bock didn’t have a crazy bottle cap… its just solid red) ~ see all the pics on the next page! This beautiful Kuhn Rikon Mortar & Pestle showed up amidst the kitchen construction ~ and it is STUNNING! 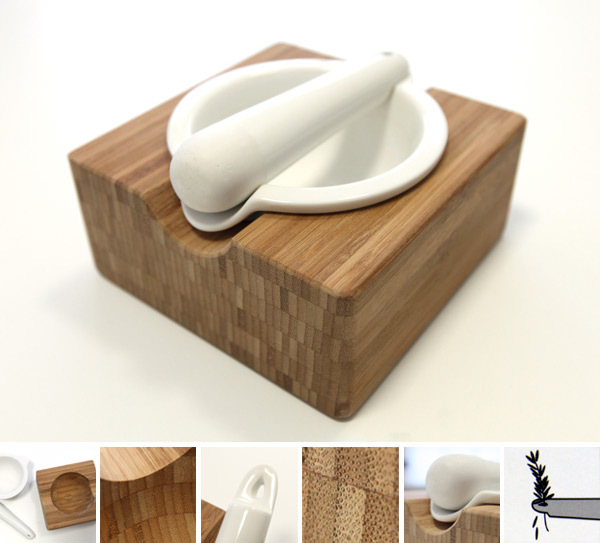 Also, swiss made, designed by Swiss Designer/Chef Philipp Beyeler, multipurpose and made of porcelain and bamboo! Not only does the porcelain bowl (for grinding) fit beautifully into the bamboo base (for crushing nuts and harder foods) ~ but i’m just such a sucker for porcelain/woody-bamboo combinations! And on brilliant details… the tear drop shaped hole in the handle isn’t merely for aesthetic purposes, it also doubles as a tool for “defoliating stems”. See the many pics of the beautiful details up close on the next page! 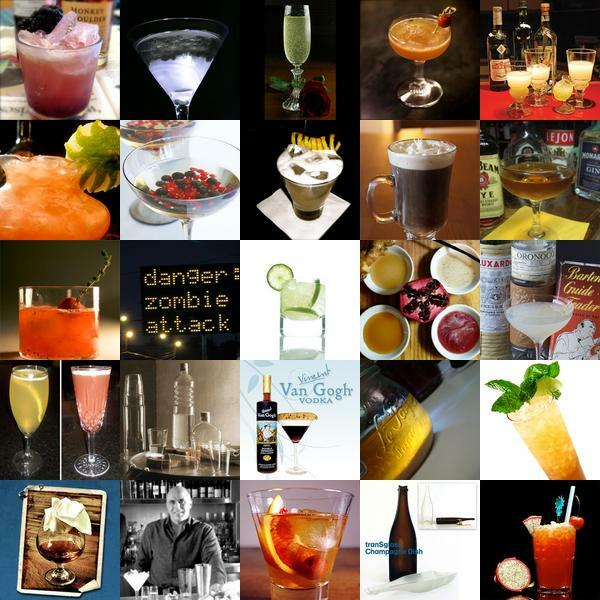 Felt like a good day to roundup some delicious and gorgeous drinks from Liqurious! Click the drinks to find out more! Ok, don’t laugh. This heat wave is unbearable. 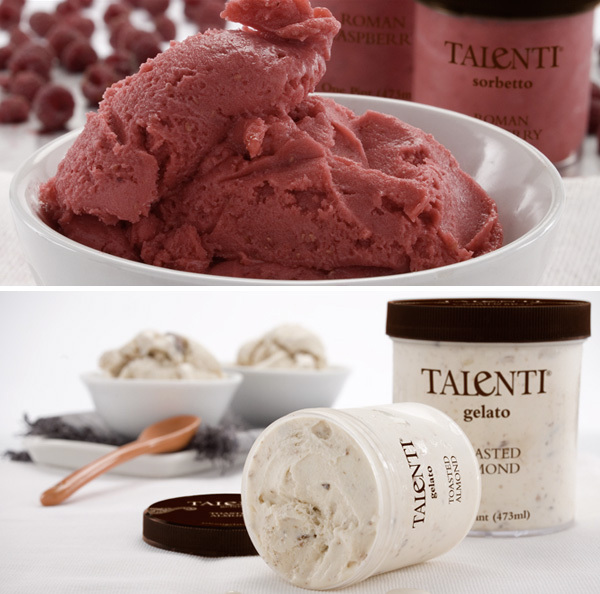 I just finished up the remains of the Talenti Roman Raspberry Sorbetto that was in my freezer… and now all i have is the awesome Talenti plastic container sitting in front of me wishing i had more. And wondering why i didn’t photograph it for a post earlier, since i obviously bought it because it was so pretty… so none the less, here’s a post about the deliciousness, which may have been partially influenced by the fact that i just wandered through their flavors and gallery and wondering which one i wish would magically appear in my fridge next. Why is it so hot?!?!?!?!?! Mmmmm chocolate. Beautifully packaged chocolate. Dare i say the packaging is even nicer than the contents? SO, pictures of some of the Singapore Chocolat Factory stores have been circulating the web quite a bit ~ and when i ran into the one at Changi Airport, how could i not grab some for the 18 hour flight? Ok, well the chocolate rain (cocoa powder with the watering can spout) isn’t easy for immediate consumption, its packaging was too fun not to show you… and of course they got all uppity and wouldn’t let me take any pics in the store, so i guess it worked, i had to BUY the stuff instead! Tiny bit of background? Read up more about this Spanish Chocalatier, Chocolat Factory on their site. But for the REALLY fun stuff? Check out the poster, packaging close ups, looks at the chocolate and more on the next page! i am currently educating myself on Kefir ~ i admit i probably should have done that before experimenting and going in unexpected! In a nutshell: “Kefir (alternately kefīrs, keefir, kephir, kewra, talai, mudu kekiya, milkkefir, búlgaros) is a fermented milk drink that originated in the Caucasus region. It is prepared by inoculating cow, goat, or sheep’s milk with kefir grains. Traditional kefir was made in skin bags that were hung near a doorway; the bag would be knocked by anyone passing through the doorway to help keep the milk and kefir grains well mixed. Kefir grains are a combination of bacteria and yeasts in a matrix of proteins, lipids, and sugars. This symbiotic matrix forms grains that resemble cauliflower. 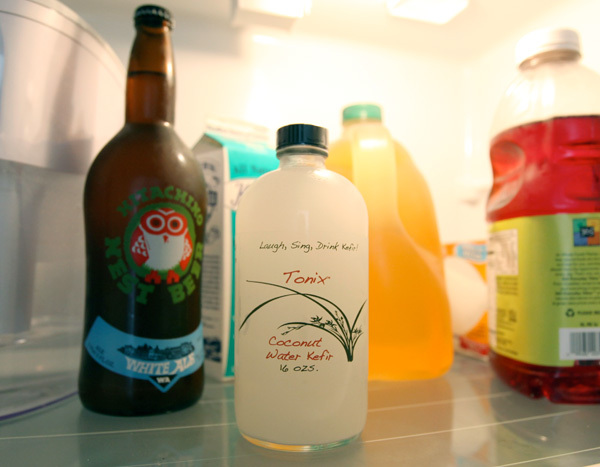 Today, kefir is becoming increasingly popular due to new research into its health benefits. Many different bacteria and yeasts are found in the kefir grains, which are a complex and highly variable community of micro-organisms. While some drink kefir straight, many find it too sour on its own and prefer to add fruits, honey, maple syrup or other flavors or sweeteners. Frozen bananas, strawberries, blueberries or other fruits can be mixed with kefir in a blender to make a smoothie.” Maybe i should make it a smoothie? I’ve been racking my brain as i photoshopped these pics and realized i didn’t take pics of the magical door between/behind the booths you enter through…. or the crazy neon signs i love so much outside Cole’s… i thought about telling you how you had to find your way in yourself, but here’s a peek at the inside, but let’s be honest ~ i was having too much fun, and really just took a few snapshots while inside! UPDATE! This just in… the designs of the awesome patterns are by Charmaine Choi for Dead As We Know It in Brooklyn, NY ~ Luckily the good folks over there are NOTCOT readers and Mikal Reich reached out! 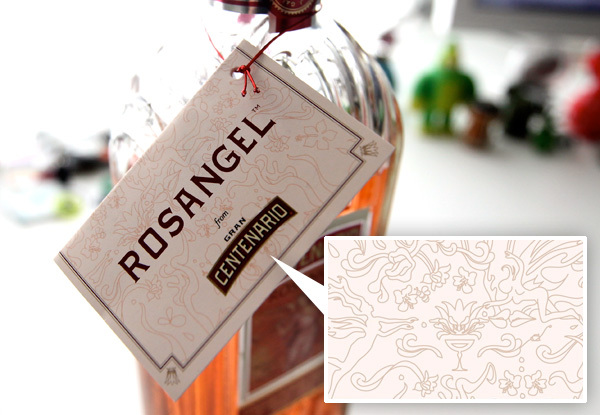 Mmmmmm, Rosangel. I think it’s definitely my new favorite tequila (boys, get over the pinkness. really.) 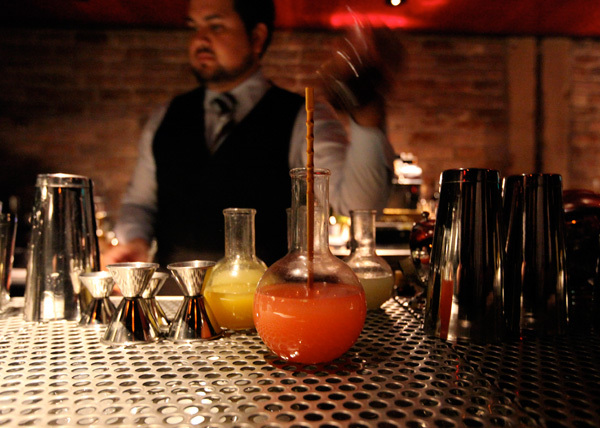 ~ It’s delicious, and the aftertaste is floral versus that usual tequila flavor… thanks to the Hibiscus infusion? Although i missed out on the NY launch that Anita covered for us, a bottle showed up mid-move, and i’ve been trying it out, and it really is so yummy… and while my fridge as been pretty empty, I did try some with OJ, and its SOO good. Anyhow, the other thing i really wanted to focus on was how inspiring and captivating is the illustration/pattern they use on the hang tag… and as a downloadable wallpaper ~ found myself staring at them to see all the little details designed into it! See that close up as well as bottle closeups on the next page! Happy Sunday! 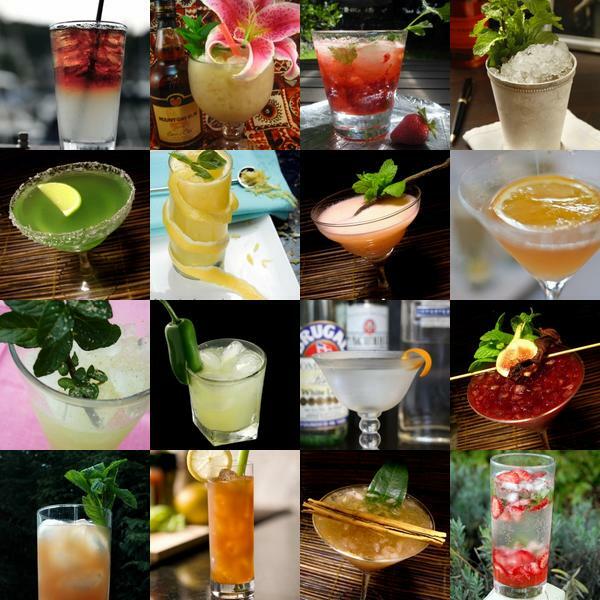 Before that work week kicks in again ~ here’s a look at some of the delicious drinks (and ZOMBIES!!!) that came up this week at Liqurious! 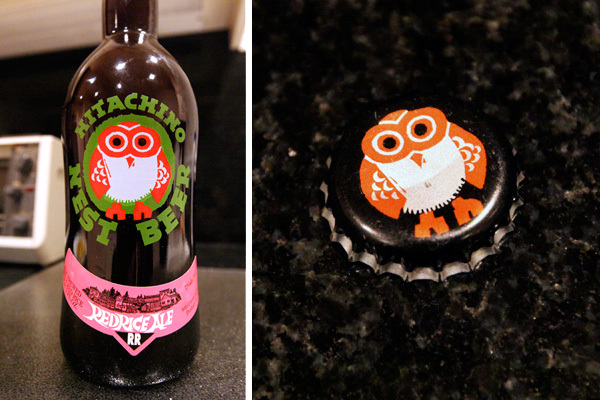 I totally buy beer for packaging ~ ok, i buy a lot of things for packaging… but while at Whole Foods, i couldn’t resist the Hitachino Nest Beer Owl, and the Red Rice Ale is SO red and delicious! I’d first spotted the brand on Liqurious a while back, but this was the first time seeing it in person!